It has been reported that Arsenal are willing to hand Mario Balotelli a bank-busting contract to tempt him away from AC Milan. The Daily Star says the Gunners are set to make Balotelli their highest paid player by offering the former Manchester City star a whopping £180,000-a-week. 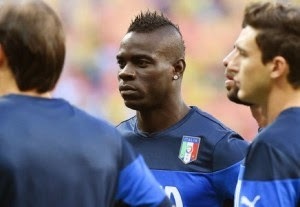 New San Siro boss Fillipo Inzaghi is thought to be keen to cash in on Balotelli as he looks to remodel his squad this summer.